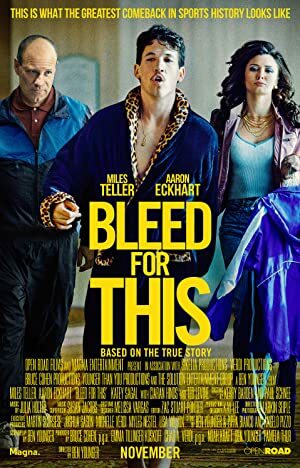 Bleed for This (2016) – What's New on Netflix Canada Today! The inspirational story of World Champion Boxer Vinny Pazienza who, after a near fatal car crash which left him not knowing if he’d ever walk again, made one of sport’s most incredible comebacks. After a devastating injury derails his career, scrappy world champion boxer Vinny Pazienza determines to make an against-all-odds comeback.